Having a Party, Event or Function? Hire one or more of our very popular Playwell Classic Multigame Cocktail Tables. Our tables have 60 classic games including Galaga, Space invaders, Pacman, Frogger, Gyruss, 1942 among the 60 popular classics & with instant on screen game selection. Our tables also come with 2 hourglass stools. 24 hour hire (or less) only $121 inc GST. Weekend hire (Fri, Sat & Sun nights) only $165 inc GST. Weekly Hire (7 nights) only $297 inc GST. Other periods available, for more details or to make a booking phone (07) 3901 5430. Pick up in Morningside or delivery is available in the Brisbane area. BOOKINGS ESSENTIAL, TELEPHONE: (07) 3901 5430. 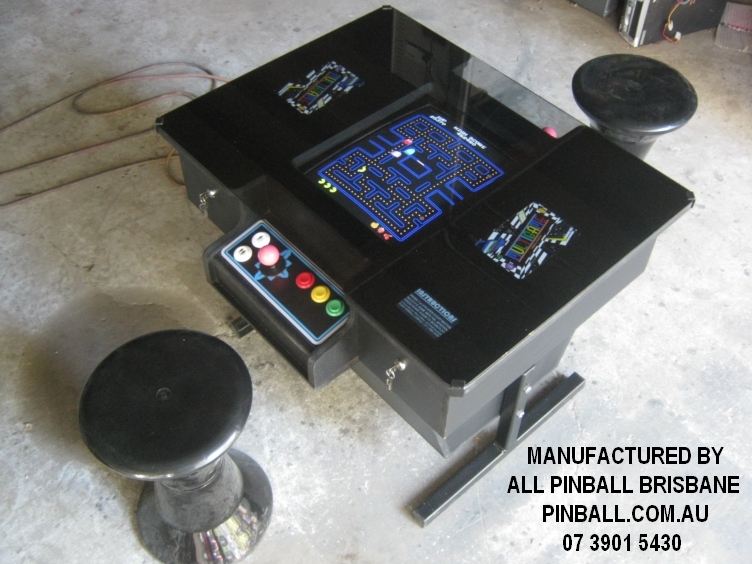 We also have a limited number of pinball machines available for hire. Thinking of buying a table? Click HERE for full details on our Playwell Classic Multigame Cocktail tables.